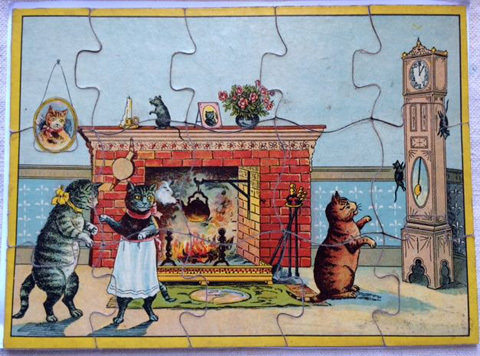 This is another piece out of my children’s puzzle and games collection. 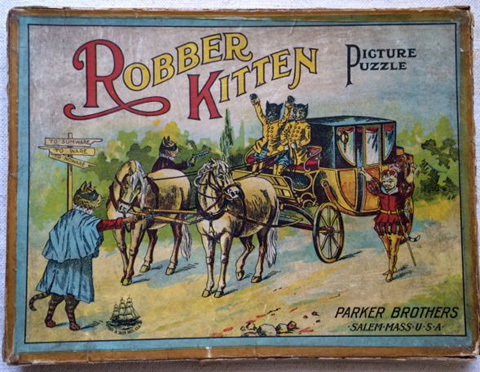 Robber Kitten picture puzzle published by Parker Brothers, Salem, Mass. 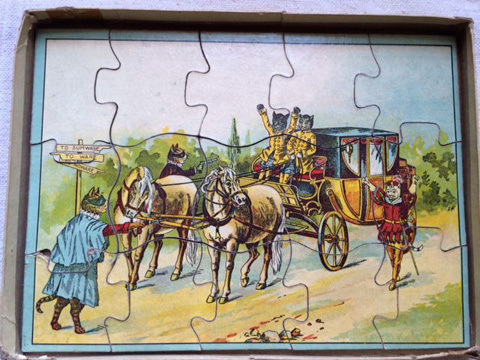 The box (a bonus) measures 10 ¾ inches by 8 inches and is in fair condition with the lid edges having been repaired with tape. 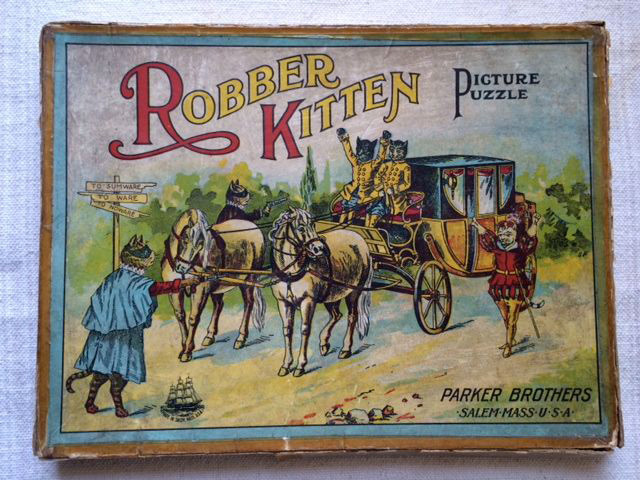 Both the Robber Kitten and the Hickory, Dickory, Dock puzzles are in excellent condition. 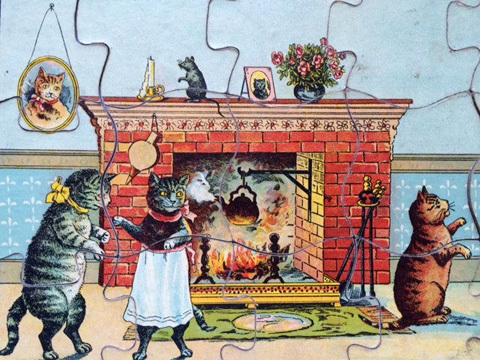 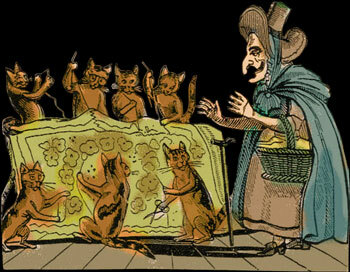 If you love children’s puzzles and are a cat lover, than this piece is for you.